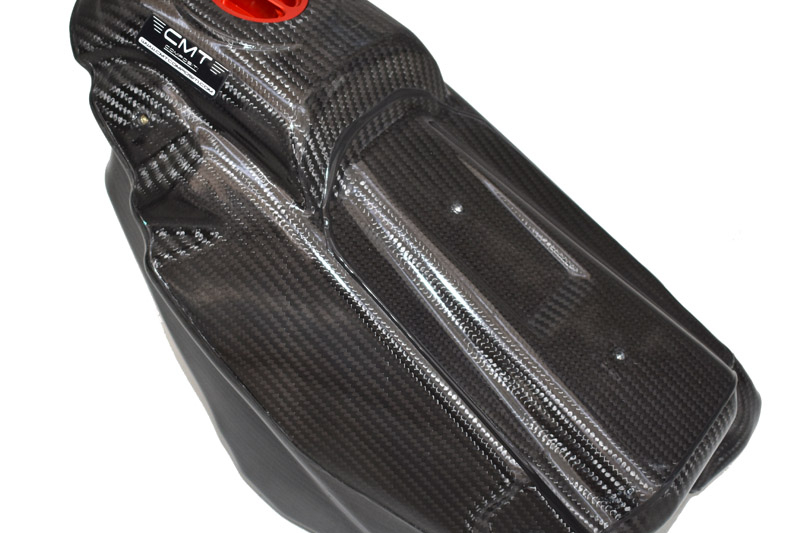 Carbon monoblock tank of carbon for Honda CR 125 2002 - 2003 - 2004 - 2005 - 2006 - 2007 models totally in line with the quality standards of CMT products on sale.Super lightness, therefore, maximum strength and high aesthetic impact are the main features of our tank made of monoblock carbon. 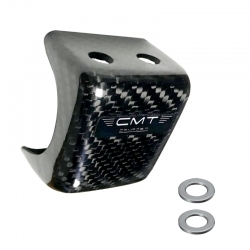 The attention to detail and the unequivocal quality of the product are guaranteed by the machining process we believe in (specifically in autoclave polymerization), and which our industry experts provide on a daily basis. The purchase of the monobloc tank includes the ultra-light retractable cap and anodized ergal inserts. Capacity: 9.3 Liters, 0.8 l more than the original.